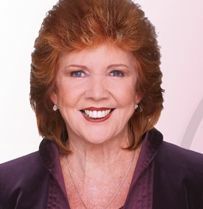 Today we heard about the sad passing of UK celebrity called Cilla Black. A gifted singer, entertainer and TV presenter. Like a lot of public figures we grow up with them, they are doing their thing on the stage, film or whatever. We do our thing – sometimes never the twain shall meet. We see these people as they grow older, yet still see them in our mind singing that song or appearing in the movie when they were younger. We forget that we are getting older as well. How many of you have seen someone on the TV and maybe commented how old they are looking. Lets face it that celebrity would say the same thing about us – however we cannot see that we are getting older. Then when it is announced that they have passed away. For some of us there is a sadness – almost a disconnection from them – even though we never met them, yet we felt quite close to them. Over the years I have seen some of my favourite film stars, sportsmen and women, academics and the rest who I admired from afar have now gone. This is all the more important when the ones who have passed away have been close to us. There is then a hole in our lives where they once stood, a true sense of loss and maybe a lack of direction. This loss or grief is very real as an enforced change has been thrust upon us. Some people deal with this better than others, and, as you know this change can come in many forms. This could be about losing someone close to us, it could also be about a change in the way you work – or don’t work. Throughout our lives we go varying degrees of change. There are many models of change curves or change diagrams. At the time they do not really sit well with us as we are ‘in the moment’ in that place that we feel a sense of numbness. I like many of you reading this felt that numbness when I was made redundant. I withdrew into myself, I could not talk to people, I was quite angry – “Why me?” I was very emotional – as though I had been bereaved. This was a sense of loss in a different way. I had lost my way, my direction was not clear – “What do I do now?” They say that time is a good healer, that phrase may work for some people – to me all it means is the pain, anguish and that sense of loss is not as strong, getting slightly weaker in time. People are very resilient in such situations, some dust themselves down quickly and get on with looking for a new job, or carve out for themselves a new career. Others may take a while longer while they work through their emotions coming to terms with what has happened to them. In my day to day role I help people to find themselves again, I help them regain their sense of purpose – their direction and therefore their motivation. If you know of someone who needs help while they are going through the own personal change curve – not a change curved devised by some University or study. Then I can help them to move forward. Email me and I will respond with some guidance.